Patchy Work of Mini Grey: An Aqua Quilt. 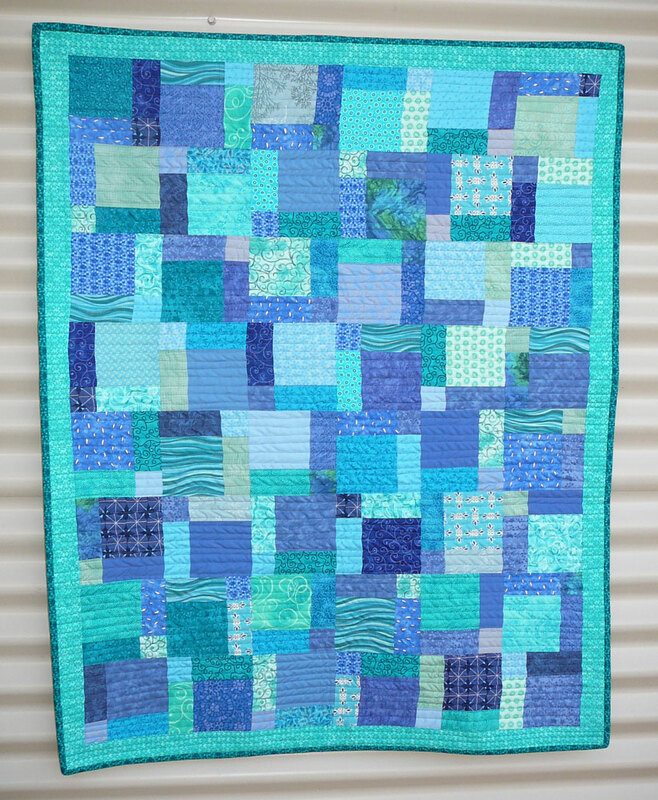 I originally refered to this quilt as blue, but it is really more an aqua colour. Either way it is finished. Binding sewn down and label on! Yahh! It does feel nice to have a finished quilt, it has been awhile. It measures 32 x 41 inches, perfect cot size for a few born that is 3 months old now! 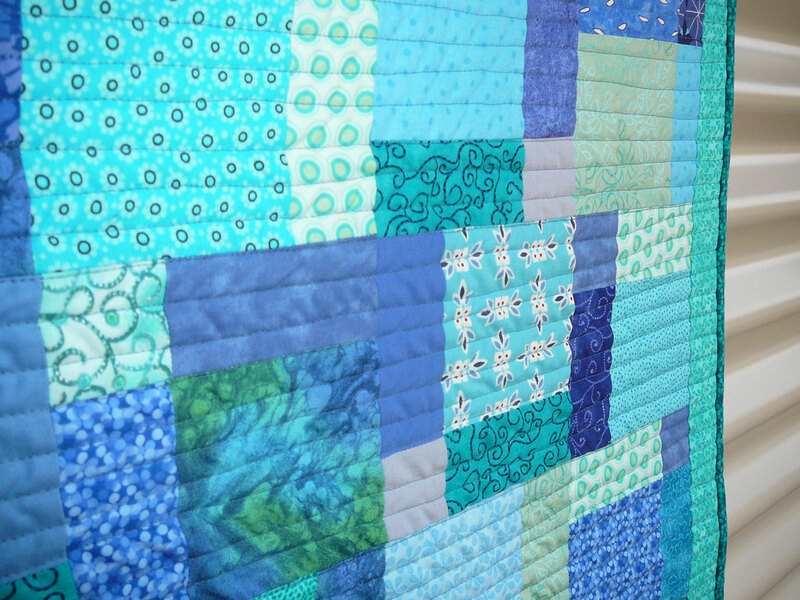 The quilting was just straight lines up and down. It was the last quilt to be quilted on Mum's Janome 1600. She has taken it away with her and now I have my little Brother to sew with. The husband has given me the okay to buy a new machine. Any recommendations?